Want to Bake a Fresh Loaf of Bread in 1 Hour? While there are a lot of things about baking I enjoy, I must admit that I’m not so keen on the time it takes to bake bread from scratch. On the other hand, I do enjoy the delicious smell and taste of a home-baked loaf of bread. This is why bread machines have become my new, best friend. Believe me when I tell you that there are a lot of bread machines to choose from, but not all of them deliver the goods. This sent me on a quest to find the best bread maker that saves time while delivering the amazing aroma and taste of freshly baked goodness. 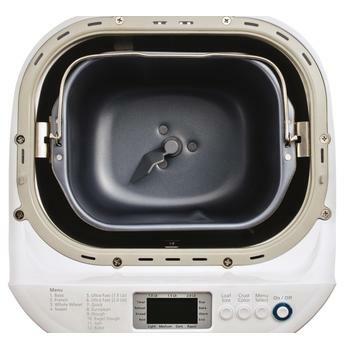 This bread maker review for the Oster CKSTBRTW20 2-Pound Expressbake bread maker is part of that journey. Early on, I discovered that there are certain key features a bread maker should have to be in the running for the best bread maker. First, good bread making machines should have several programmable settings that bake a variety of breads with the right texture and taste. Second, bread machines should have options for different sized loaves to suit your needs while not taking up too much space in your kitchen. Third, they should be easy to operate and save you time in your busy schedule. 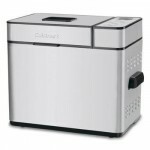 So, let’s see how the Oster Expressbake bread maker stacks up in these areas. If variety is the spice of life, then this bread machine certainly has that with its nine programmable bread settings and three crust options. This machine can handle many different types of breads and doughs, including: Traditional white bread, whole wheat, french, sweet breads, rolls, fruit and nut breads, gluten free bread, pizza crust, pie crust, bagels and more. The settings allow for light, medium or dark crusts to suit your preference. The taste and texture of the finished products from the Oster Expressbake bread maker are the true test though. White breads come out with a firm crust and tender inside, yeast rolls are soft and light, crusts hold together without breaking, and fruit and nut breads are moist while retaining firmness. 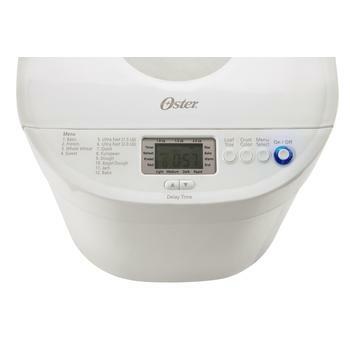 The size of a loaf of bread also matters, and the Oster Express bread maker gives you options here as well. 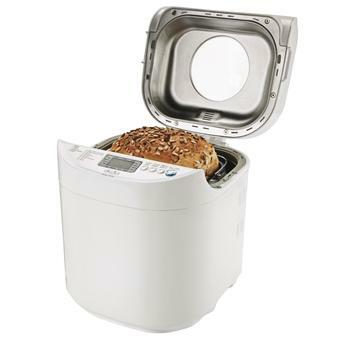 Whether baking for just you or a family of six, this bread machine can turn out 1, 1.5 or 2 pound loaves with ease. 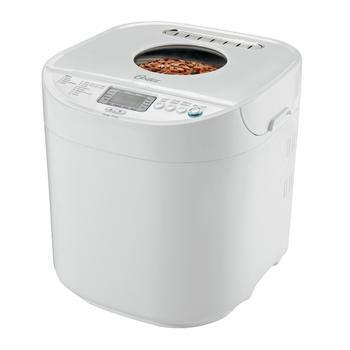 Additionally, this bread maker produces a traditional, horizontal loaf as opposed to many many machines that bake loaves vertically. For convenience, the unit should fit on most counter tops weighing in around eight pounds and measuring 13.8 x 13 x 14.1 inches. So far, this bread machine is looking pretty good, but what about how it works? Oster has thought of this also, and it’s where the machine gets its name: Expressbake. Programmable recipes allow you to make a great loaf of bread, regardless of size, in under an hour. 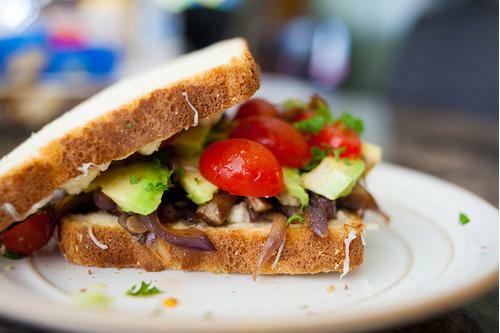 Talk about quick bread! 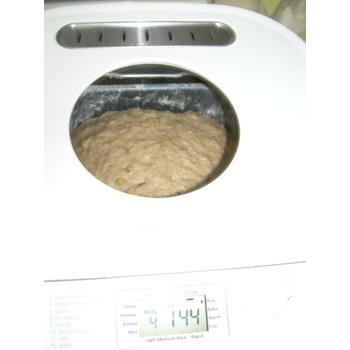 Just as importantly, you can program your bread baking automatically by delaying your baking time up to 13 hours. Just put your ingredients in, set the start time, and the Oster Expressbake bread maker has fresh bread ready and waiting for you when you want it. This machine also gets high marks for having a large, readable LCD display, a top window to check on the bread’s progress and for being easy to clean. The only difficulty noted is that the mixing paddle may be tricky to release for cleaning. To fix that situation, it’s recommended the paddle be removed soon after the finished bread is taken out. Additionally you’ll want to wait 30 minutes before baking your next loaf. For this bread maker review, the Oster CKSTBRTW20 2-Pound Expressbake bread maker demonstrated more pros than cons. 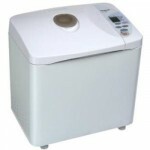 It has all the right features that make it a really functional bread maker for any home kitchen. Oster also throws in some extra goodies, including measuring cups and spoons, a kneading paddle, a baking tray, and a manual with bread recipes. Overall, customers love the simplicity of what it takes to operate this machine. 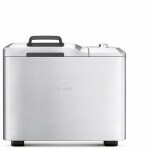 With 9 pre-programmed settings, it might be short of the 11 that Breadman TR875 offers. I wouldn’t consider it as the best bread maker. But if you’ve always been a loyal Oster fan, I think there’s sufficient reason to stick with the fammiliar.